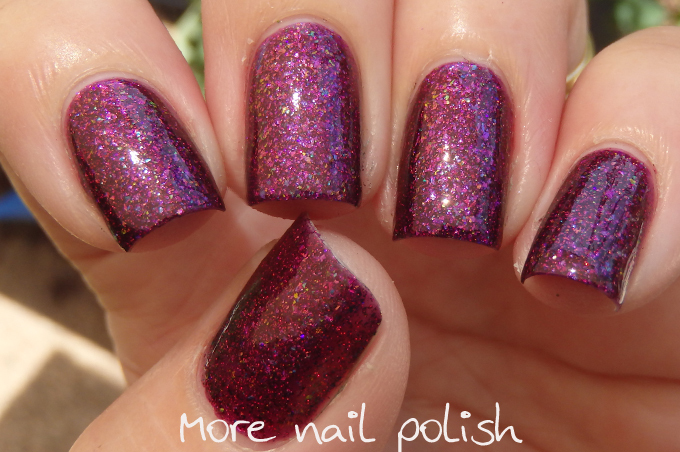 Ooh ooh ooh have I got some gorgeous polishes to share with you tonight! Ok, now that just reminded me of something totally random, which of course I will now share cause I'm feeling kind of rambley. On our car's sat nav, we downloaded Homer Simpsons voice to give the directions as we thought it would give the kids a giggle. He's quite funny to listen to. Every now and then he say's totally bizarre things that he rarely says, and one we heard last time it was on was a very excited Homer saying 'Ooh, ooh, ooh" *really fast like he was interrupting us* "In 100 meters turn left". It totally cracked us up in the car. Want to know another random fact, apparently Homer Simpsons voice is the most common Sat Nav voice in the world! Does anyone else have him? 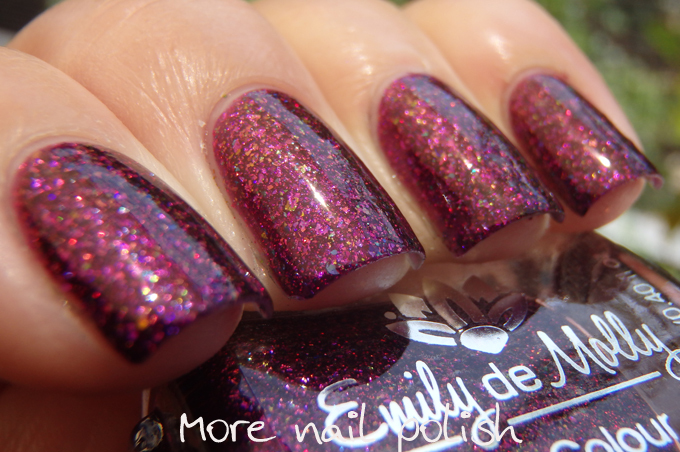 Ok, now after that randomness, lets look at these four gorgeous multichrome flakie polishes from Emily de Molly. The one thing that I just love with these polishes is the complex mix of flakies in a tinted base. Unlike many other flakies that are in a clear base or very sheer base, these are in full coverage tinted bases. 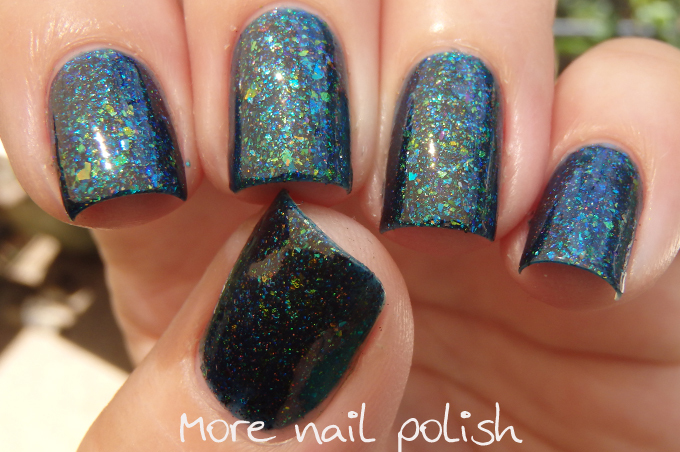 Ariels Realm - a dark blue/green jelly base with green/blue/gold colour shifting flakes and silver micro holo glitter. Perfect formula, seriously perfect. The tinted base is also at a perfect balance so that it provides full coverage at two coats yet still shows off all the flakie goodness. This is two coats with Seche Vite top coat. 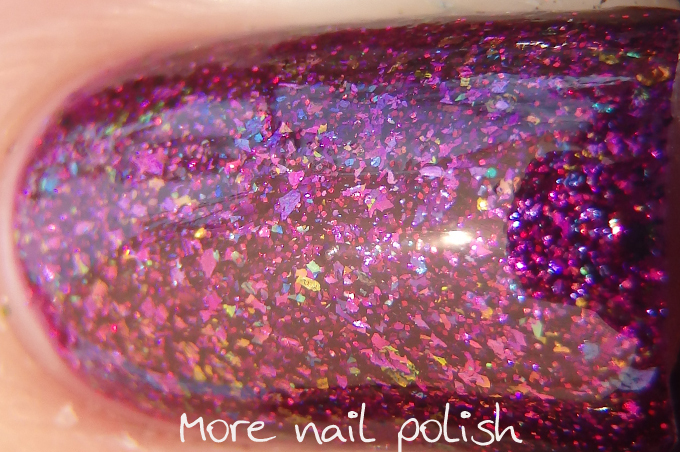 Calibrated - a dark purple jelly base with pink/purple/blue/green colour shifting flakes and pink micro holo glitter. 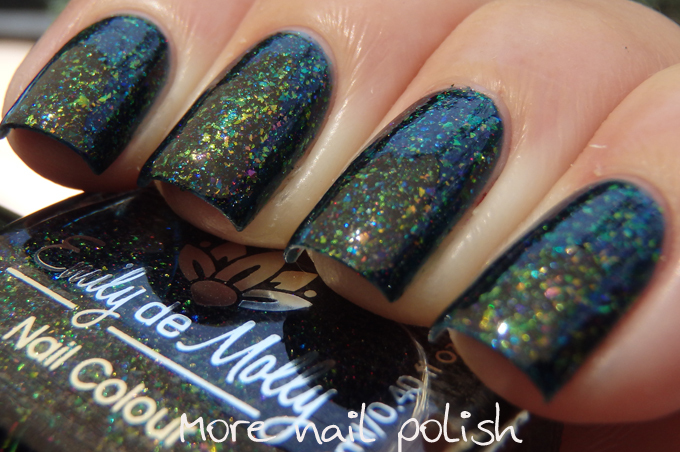 Another stunner, and everything I said about the last polish applies to this one too! This is two coats with Seche Vite top coat. 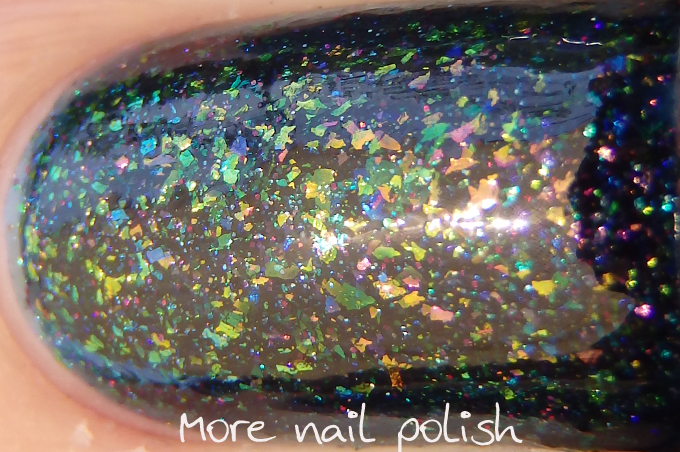 The Rapture - a very dark navy blue (almost black) jelly base with copper/pink/green/gold colour shifting flakes and pink micro holo glitter. 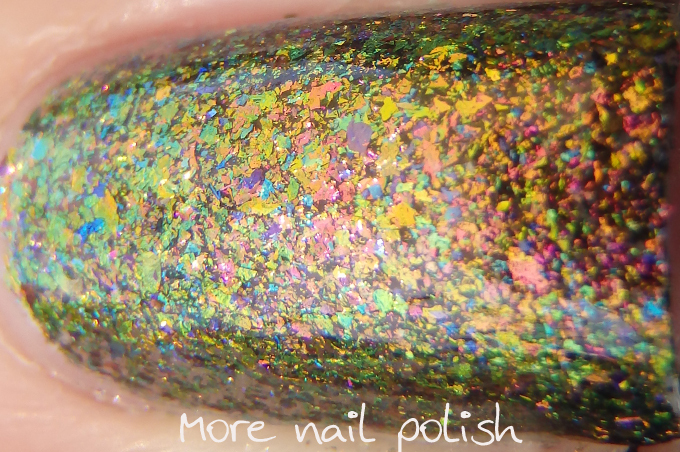 There is so much depth to this polish with all the rainbow of flakies. 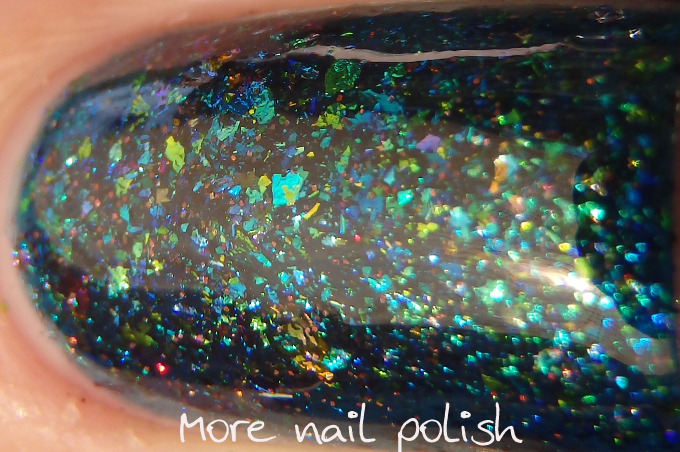 I love that the base is so dark yet the flakies are so clear and easy to see. Another perfect formula. This was two coats with Seche Vite top coat. 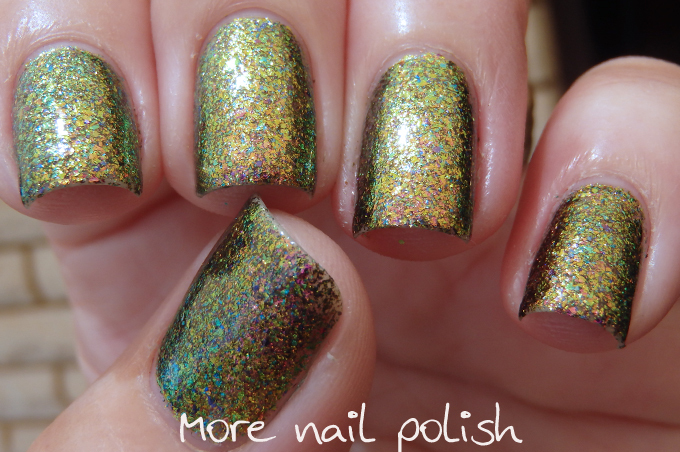 Insipid - a clear base packed with lots of copper/gold/pink/green colour shifting flakes purple/blue/green colour shifting flakes and pink micro holo glitter. While this one is in a clear base it has a great flakie payoff, and as such it's a little thicker, but still easy to apply. You don't need to sponge this one on to get full coverage. I used three thin coats on their own here, but you could get away with two thicker coats. This one is a real chameleon and shows lots of shifty colour changes when you view it at different angles. 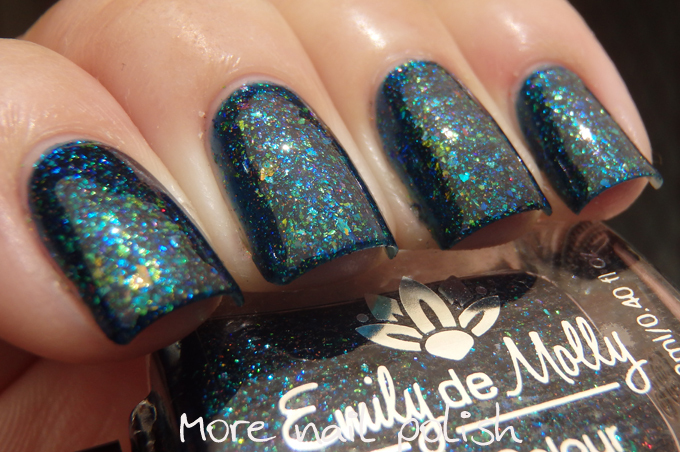 These four flakie shades are available from the Emily de Molly shop if you live in Australia. 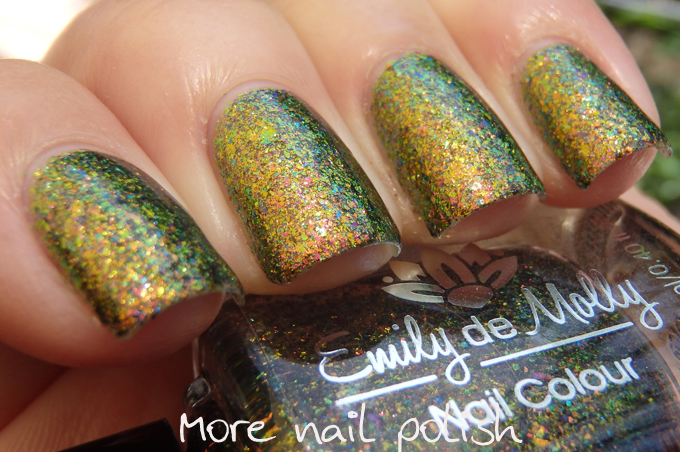 International ladies may be able to get these through one of the Emily de Molly International Stockists. Wonderful swatches! I recently discovered Emily de Molly and can't wait to grow my collection…I have to say "Ariel's Realm" and "The Rapture" are my favorite!